Strat-o-Matic is a baseball simulation that began as a cards and dice game in the early 1960s before entering the computer age. These featured games on Shoestring Catches are part of season replays or tournaments played with cards and dice. Today’s game matches the 1969 New York Mets and the 1976 Kansas City Royals. With these two organizations meeting in the 2015 World Series, it’s time to take a look back at when both teams made the post-season for the first time. The Mets won their first World Series in 1969. They were in their eighth year and only finished out of the National League basement twice. The Mets were ninth out of 10 teams in the NL in 1966 and 1968. The 1969 season marked the beginning of divisional play and the league championship series. That is also the year of the birth of the Royals. Ironically, it also took Kansas City eight years to reach the playoffs. They had finished second in the American League West in 1971, 1973 and 1975 before finally climbing to the summit a year later ending the Oakland A’s run of five straight division championships. Unlike the Mets winning a title in their initial trip to the playoffs, the Royals lost in the American League Championship Series to the New York Yankees in 1976 when Chris Chambliss hit his famous walk-off homer in the fifth game. KANSAS CITY — New York Mets lefty Jerry Koosman was in command as he tossed a complete game for the Mets as they defeated the Kansas City Royals 5-0. Koosman surrendered six hits and struck out three as he posted the victory. He faced just two threats during the contest. In the third, Buck Martinez and Frank White singled to put runners at first and third before he induced Tom Poquette to hit into an inning-ending double play. White added a triple in the eighth for his second hit of the game, but he was stranded there as Koosman worked out of the jam. Offensively for the Mets, Jerry Grote and Ron Swoboda were the stars with three hits each. Tommie Agee gave the Mets a 1-0 lead with a RBI single in the fifth before Swoboda and Grote took over in the sixth. Swoboda made it 2-0 with a run-scoring single, while Grote knocked in two more runs with a triple. In the top of the ninth, Swoboda added the final tally of the contest with another run-scoring single. Kansas City starter Dennis Leonard left the mound with one out in the sixth as he was touched up for four runs and eight hits. He walked one and fanned six. Steve Mingori and Mark Littell finished up for the Royals. IN REAL LIFE: Jerry Koosman won two games in the 1969 World Series against the Baltimore Orioles, including the clinching game five contest. He was 17-9 with 2.28 ERA. 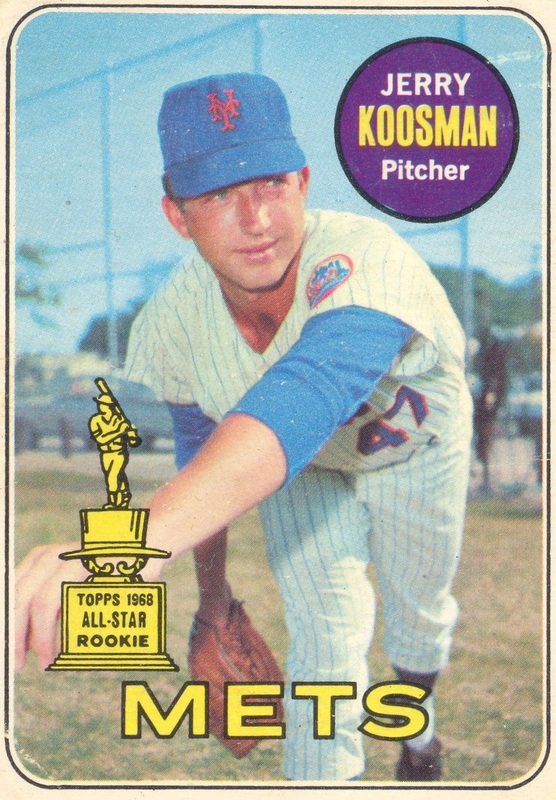 Koosman played 19 seasons and posted a 222-209 record with the Mets, Minnesota Twins, Chicago White Sox and Philadelphia Phillies. A two-time all-star, Koosman’s best season was in 1976 when he went 21-20 with an ERA of 2.69. He finished second in the Cy Young Award balloting behind Randy Jones. In 1979, Koosman was 20-13 with the Twins. Jerry Grote spent 16 seasons in the major leagues. The catcher began his career with the Houston Colt 45s (now the Astros) before playing with the Mets from 1966 to 1977. Grote was traded to the Los Angeles Dodgers in 1977 and moved on to the Royals before retiring with the Dodgers in 1981. 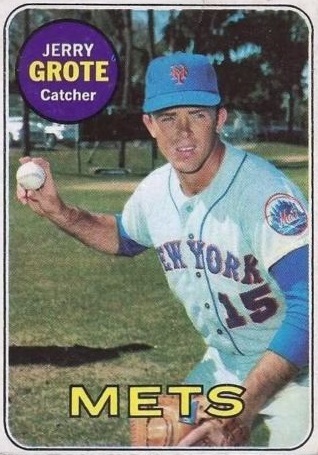 A two-time all-star, Grote hit six homers and had 40 RBI for the Mets in 1969. He later played in the post-season with the Dodgers in 1977 and 1978. 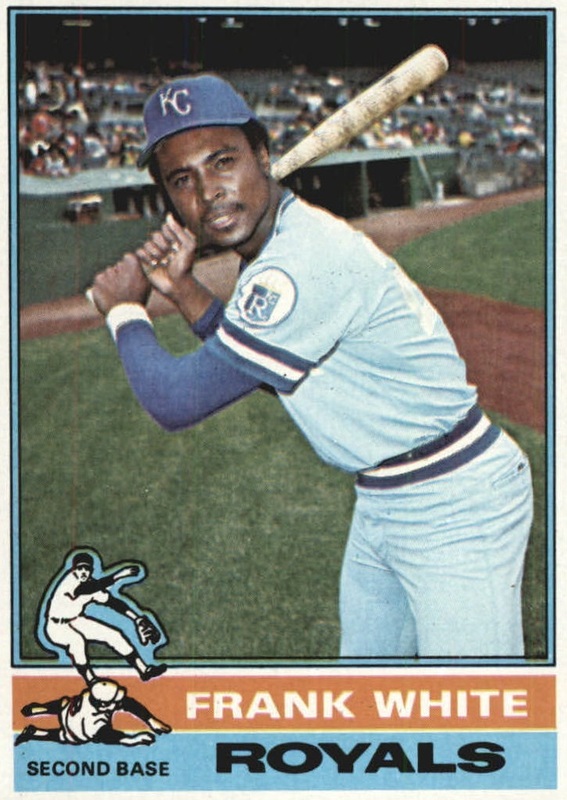 Frank White was in his fourth season with the Royals in 1976. He hit .229 and had two homers and 46 RBI. Despite those numbers, White became a star for the Royals and ended his career in 1990. White would become a five-time all-star and win eight Gold Gloves and a Silver Slugger in 1986 when he hit 22 homers. In 1980, the second baseman was the Most Valuable Player of the ALCS for the Royals as they beat the Yankees. He ws also an important part of the Royals victory in the World Series in 1985.